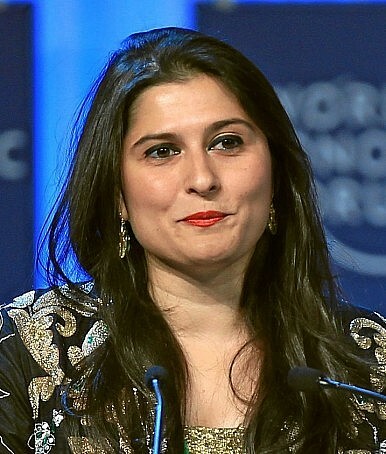 Sharmeen Obaid-Chinoy’s film has sparked a national-level conversation in Pakistan. On Sunday evening, Pakistani filmmaker Sharmeen Obaid-Chinoy took the stage at the 88th Academy Awards and accepted her second Oscar. Chinoy’s short documentary film, A Girl in the River: The Price of Forgiveness, tells the story of an 18-year-old Pakistani girl named Saba Qaiser whose father shot her in the head for eloping, put her body in a sack and dumped her in the river. She survived, but many other women do not survive so-called honor killings. In 2012, Chinoy became the first Pakistani to win an Oscar when she was honored for her film Saving Face, which chronicled the struggle of acid-attack victims for justice. “That is the power of film,” Chinoy said on stage. While legal and social changes may be slowing in coming, the moment is certainly ripe for a leap forward. The prestige of the Academy Awards shines a spotlight on the issue, though not all in Pakistan are necessarily pleased by the light’s glare. This is a critique that has been lobbied at many documentarians (and journalists for similar reasons) around the world. Bringing taboo subjects to an international stage can be perceived by some as embarrassing the country. But Chinoy’s motivation is not embarrassment, but change. The Punjab provincial government passed a law on February 25 broadening the definition of “violence” against women, a move welcomed by regional activists. But laws have been passed before attempting to address the issue of honor killing and violence against women, with little discernible effect. Nonetheless, Chinoy’s impact on national and international conversations regarding issues of violence against women in Pakistan grows with time and the hope is that continuing to discuss these issues will engender progress. A series of shocking recent cases show that so-called honor killings remain ubiquitous in parts of Asia.